Every once in a while, someone gets really ambitious and releases a game unlike anything you’ve ever seen before. If you told me five years ago that one of the best games I’ve played in years would be a cross between Pikmin and tokusatsu-style superheroes… Well, I’d probably believe you, honestly. Anyway, enough rambling, I’ve put this thing off long enough. Anyone who talks to me knows that I really don’t get that much into video game music. I like my vocals because it gives me more of a beat to follow, but even with this, the Wonderful 101 easily has some of the most memorable music I’ve ever heard. Of particular note is the boss theme, which (to my untrained ears) appears to be a more powerful-sounding version of the story stage theme. Combined with the ever-escalating setpieces and ridiculousness – in the good way, of course – of the bosses, this one song really helps you feel like a badass. The game’s story and writing are also pretty good, especially once some of the later missions hit and the plot actually starts happening. I’m also pretty fond of the voice acting, and not just because Steven Blum voices a high-pitched alien mosquito dude, either. My only real problem with the game in terms of the story and the writing is that they either spread themselves too thin with focusing on seven ‘main’ characters, or they just really needed something utility-centric and didn’t care about making an actual character. Wonder Black, in my opinion, is a huge waste of a character. He has… three, four lines of dialog throughout the game, two if you cut out his unite morph and transformation phrase. 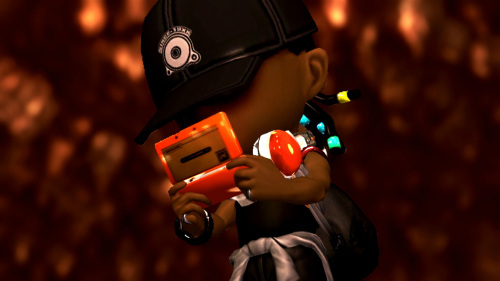 I know they meant for him to be a quiet, genius type, but I feel like they could have done more with him, because all the audience sees is some Indian kid playing a DS and never saying a thing. You are the grand king of disappointment (and explosions). Anyway, enough of the story and all that. Let’s talk gameplay. I don’t think I’ve ever seen a game so full of stuff before. Throughout the roughly thirteen hour campaign, you never feel like there’s any downtime. Any time you’re not in a cutscene, there’s something to do, and even the cutscenes are crazy and full of action. This game just refuses to stop, and it’s so much better because of that. In terms of difficulty, I’d have to say it’s similar to either a more forgiving Star Fox or Viewtiful Joe. There is no game over forcing you to start from the beginning, but you’re rewarded for playing well in the form of trophies and presumably other goodies that I will never unlock because I am a bad superhero. Right, back to that ‘full of stuff’ point, this game has tons of different types of gameplay. If you’ve ever wanted to play an action-oriented Pikmin, Gradius, and Punch-Out without swapping out discs or changing games, well you have very specific desires. 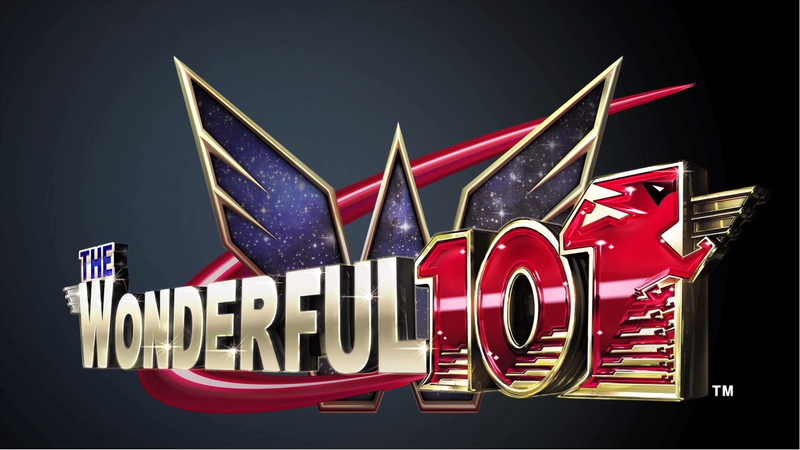 Also, The Wonderful 101 will be right up your alley. Also, this game has some of the best boss fights I’ve ever had the sheer joy of playing, with particular note going to the final one, a four (maybe five) form marathon of a beatdown that lasts well over an hour on its own without getting boring. The game isn’t without it’s issues, though. The camera, while usually pretty good and controllable, becomes a fixed-position mess in certain areas of the game. The inability to zoom out makes it difficult to know where you’re supposed to go or judge certain jumps. Another issue, arguably bigger than the camera, are the game’s handful of moving platforms. It could just be me, but it seems like if you try and jump from one while it’s moving, you inherit its momentum mid-jump. Many, many lives were lost to that particular issue. My final problem is that some of the weapons (United Hammer in particular), are downright finicky about being drawn, especially since Hammer is so similar to Whip. All in all, it’s really hard to explain how good this game is. It’s easily one of the best games I’ve played in years and by far the best in the Wii U library, and that’s counting Wii games too. If you’ve got a Wii U and you enjoy over-the-top action (or Punch-Out), then you really owe it to yourself to at least give this a rental. Rentals still exist, right? Well, whatever, pick up the demo or something or find some videos. Anyway, this has been a blast to play and a blast to write about. Thanks for reading and have a good’un. This entry was posted in Review, Video Games and tagged platinum games, wonderful 101, wonderful 101 review. Bookmark the permalink.